A chipped tooth can happen to anyone: a child riding a bicycle, a teenager playing basketball, or a grown-up crunching a piece of hard candy. It's one of the most common dental injuries — and, fortunately, it's usually one of the easiest to treat. There are several ways a chipped tooth can be treated, depending on how extensive the chip is. But first, there are some things you should do right away. If possible, save any pieces that broke off the tooth, and bring them with you to our office. If you have pain, take an over-the-counter pain reliever like acetaminophen or ibuprofen; rinsing your mouth in salt water can also help soothe the ache. Next, call our office for an appointment. In many cases, a small to moderate chip can be repaired via a procedure called bonding. 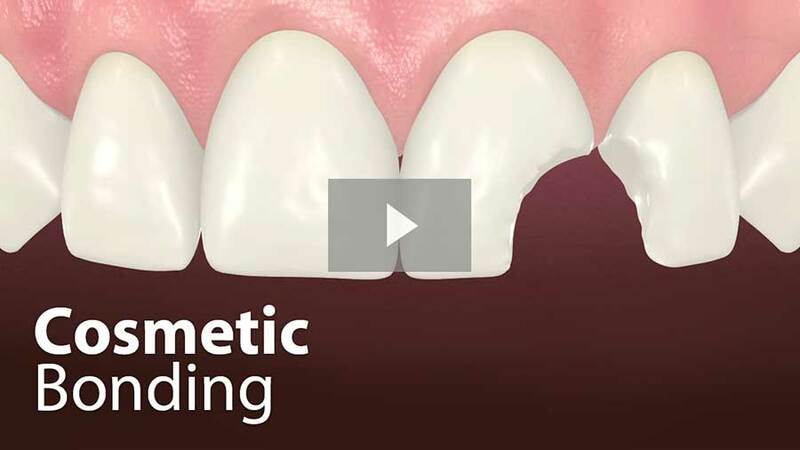 Bonding uses tooth-colored substances to replace missing tooth structure. Bonding materials are called “composite resins” because they contain a mixture of plastic and glass, which adds strength and translucency. 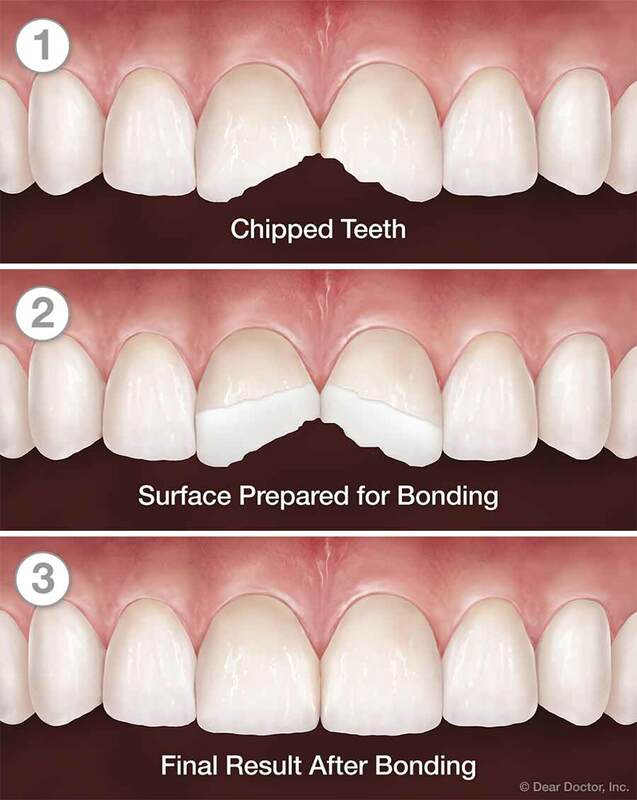 This composite actually bonds, or becomes one, with the rest of the tooth. Composite resins can be successfully bonded to most healthy teeth, and they come in a variety of tooth shades for truly lifelike results. When bonding is complete, it may be impossible to distinguish the repaired tooth from its neighbors. Though bonding may not last as long as some other restorations, it also does not require the involvement of a dental laboratory — and, most often, can be done with very minimal drilling of the tooth. It's a particularly good solution for teens, who often need to wait until their teeth have finished maturing before choosing a more permanent type of dental restoration. Tooth bonding can usually be accomplished in a single visit to the dental office, in a procedure that may take 30 minutes to an hour. First, the surface of the tooth may be altered slightly with a drill to bevel the chipped areas. Next, the tooth to be bonded will be cleaned so it is plaque-free, and “etched” with a gel that opens up tiny pores in the surface. Then, liquid composite resin in a matching shade is painted on in a thin layer, and a special curing light is used to harden this bonding material. Once the first layer is cured, another layer can be painted on and cured. More layers can be built up until the restoration has the necessary thickness; it can then be shaped using a dental drill to give it just the right form, and given a final polishing. If a tooth has been severely chipped and has lost a large part of its structure, a more extensive restoration may be needed. In this case, a veneer or a crown restoration (cap) may be recommended. There are several different varieties of veneers and caps, which we will discuss with you. Both veneers and caps usually require the services of a dental laboratory, and will take more than one visit to prepare and place. In some cases where extensive damage has occurred, a root canal procedure may also be necessary to prevent or treat infection in the pulp (inner part) of the tooth.